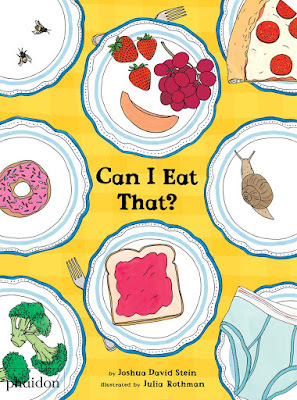 Last year I missed the chance to interview food critic Joshua David Stein and illustrator Julia Rothman about their book Can I Eat That?. 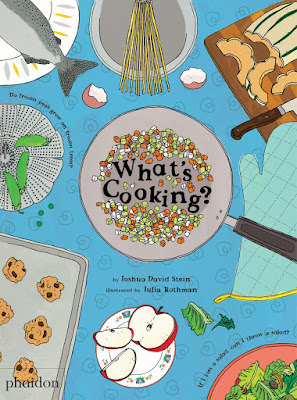 So when I heard about their newest book What's Cooking?, I was determined not to let the chance pass me by again! 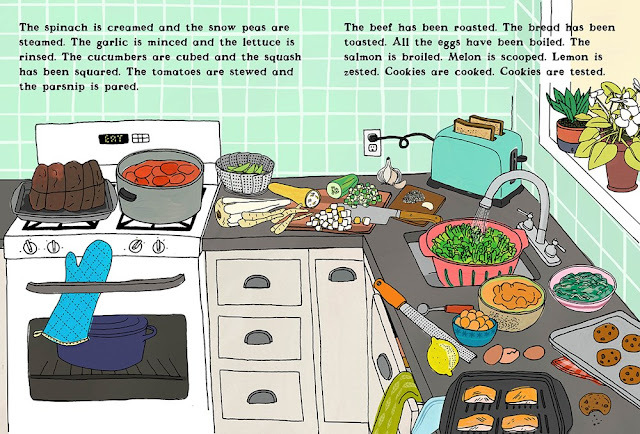 Stein and Rothman's books are humorous, thoughtful, colorful, and –– most importantly –– make food fun. Bon appétit! Incorporating humor, word play, logic and illogic, foreign foods, and even some cookbook vocabulary, this read-aloud book offers children facts to share and maybe even the impetus to get involved in the kitchen. 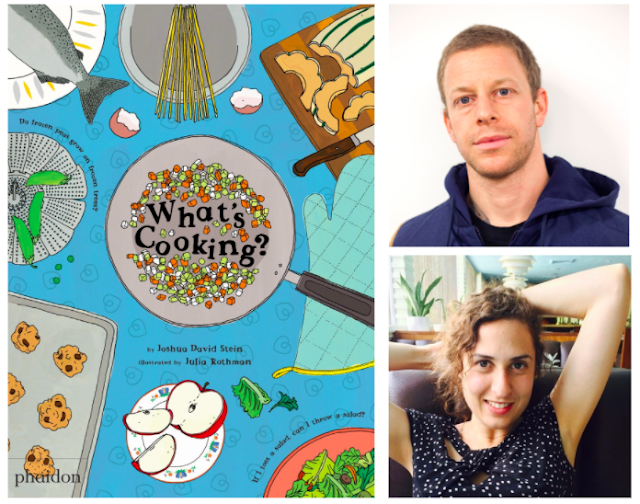 Let's talk Joshua David Stein and Julia Rothman! LTPB: Joshua, you were a restaurant critic (among MANY things! ), so you clearly know a lot about food. Why did you decide to create a series like this for children? What are you hoping it will accomplish? JDS: Basically the idea for the series came from conversations I had with my older son, Achilles. He is 5 now but was obviously younger when the first book came out. He is a very picky eater. 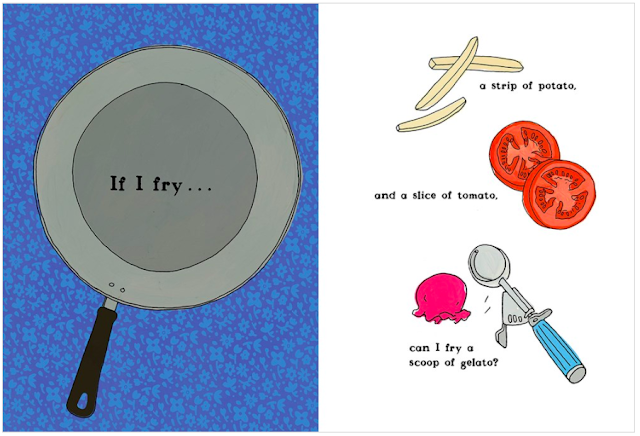 Because I am passionate about food I really wanted to share the joy of food with these books. But what I found was that at the dinner table it always just devolved into a power struggle. There are obviously many wonderful books for children about food. But many of them are either fantasy, like Cloudy with a Chance of Meatballs, or they anthropomorphize the food, like my favorite The Runaway Dinner. 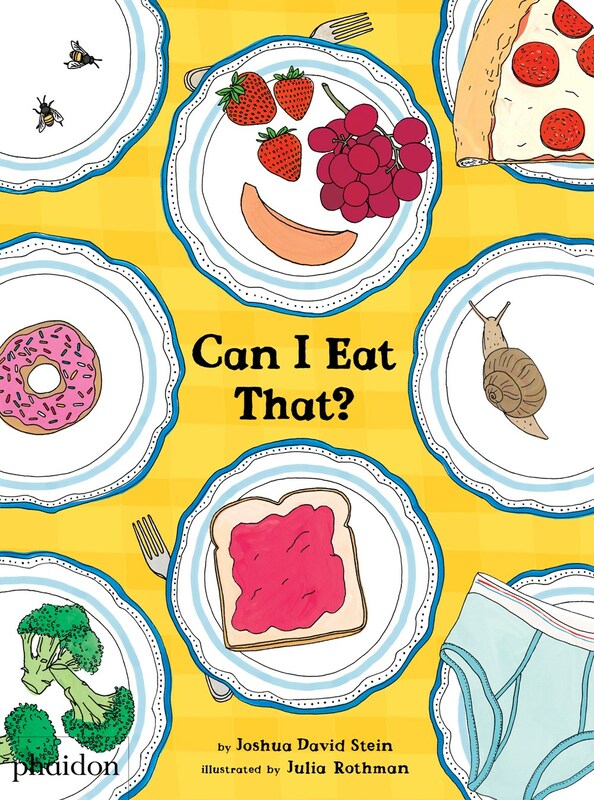 Then there is the genre of food books which are trying in some way to convince the child to eat better. But what I wanted was a book with absolutely no agenda which was realistic, nonfiction and fun. So I wrote it! Both Can I Eat That? and What's Cooking? 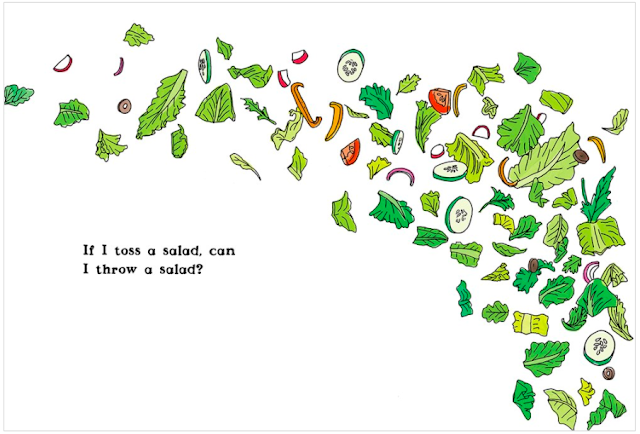 combine wordplay (which as a dad I am incapable of not engaging in), little funny games of logic, and end-of-course food. The idea was just to have food be another fun thing to talk about and joke about with. I figured we'll let the eating happen but that there was no way for Achilles to develop a love of food if it was such a fraught subject. Well it worked, and it didn't work. Achilles still doesn't eat that much –– his younger brother Auggie eats everything –– but he has become more interested in food and the dinner table is now much more harmonious. Recently we've been making tortillas together, and he has been setting the table. It's incremental change but change nonetheless. What's Cooking? is cut from the same fabric as the first book but is also concerned with how food is prepared, as opposed to simply what food one can eat. And I have to give credit where credit is due: Achilles thought of the sequel. He wanted to call it Can I Heat That? Like father, like son. 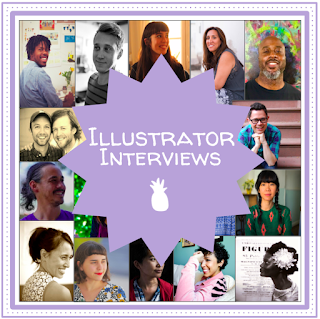 LTPB: Julia, what tools do you use to create your illustrations and what is your process like? 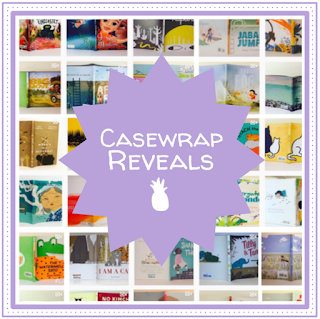 How involved are you in the design of the book (endpapers, case covers/dust jackets, etc.)? JR: I draw everything by hand using a Uniball pen and then paint it in with gouache. Those paintings get scanned into the computer and cleaned up and arranged in the layouts. I put in the text as a placeholder, but later, the art director I work with at Phaidon, Meagan Bennett, decides where the text should be placed, how it should look, and where the sentences should break. I also work closely with her to develop the cover concept and endpapers, and she figures out the rest of the smaller design details. It’s wonderful to collaborate with her because she has the design and typography skills I lack, so she really brings it all together. LTPB: Will there be a third book on the series? What are you working on next? 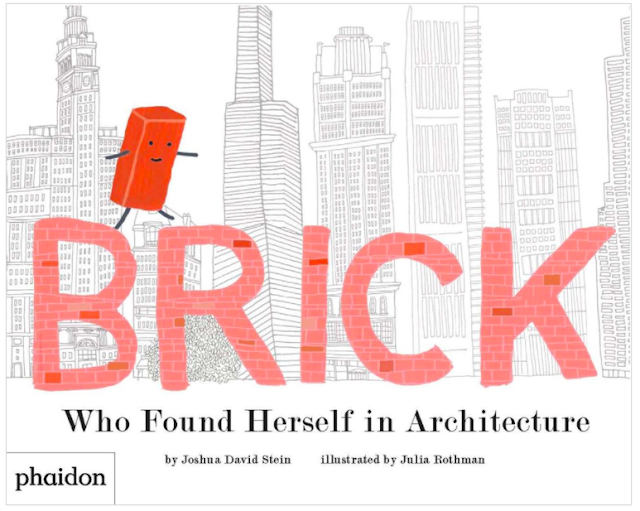 JR: Brick: Who Found Herself in Architecture will be out in the Spring. This was a departure for me because I’ve never really done character-driven work. Plus, I tried a new style that separates the line from the painted elements and uses a limited palette of only black and white and reds. I’m very excited about it because the story is so, so good and I think I succeeded in doing something outside my comfort-zone. Aside from that, I’m currently working on a new wallpaper for Hygge & West, a full-page piece for The New Yorker about elevators, and an album cover for Ava Luna. Also, I am a co-founder of Women Who Draw, and right now we are partnering with the Breast Cancer Research Foundation (BCRF) on a project making art to highlight the importance of breast cancer research. 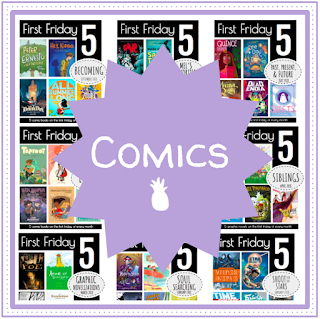 LTPB: The last question I’m asking everyone who participates in the series is, if you could choose anyone, dead or alive, to illustrate your picture book biography, who would it be and why? 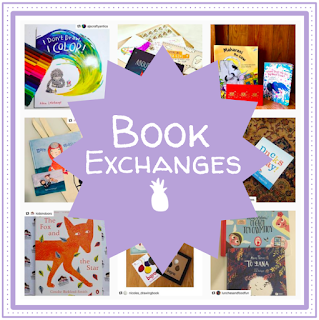 JDS: Finally, I am not sure what a picture book biography would be. Is it my story? If so, or even if no, I would have loved to have worked with Edward Gorey, Remy Charlip, Tomi Ungerer (which could still happen) and Clement Hurd, who was a real character! JR: Maybe Barbara Nessim. I love the way she draws women and I would love her to paint my life as surreal as it often feels. Plus she grew up in the Bronx, like me, and did such a range of work over so many years, which I truly admire. Thank you to both Joshua and Julia for taking time to chat! What's Cooking? published from Phaidon Press in October! Special thanks to Phaidon Press for use of these images!